It was on this day that John Seaver was led to the Gallows which had been erected between the outer walls of the Adelaide Gaol. He was to suffer the extreme penalty of the Law for committing not just an act of murder, but one against a fellow officer. 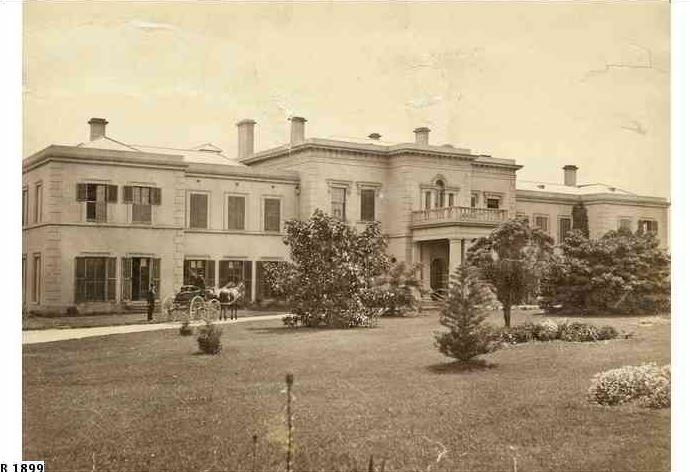 Government House had been holding an auction as Governor Sir Richard MacDonnell was leaving Australia to return to England. At 4.30 p.m. that afternoon a shot rang out and, in the hallway near the stairs, 32 year old Inspector Pettinger was found lying dead in a pool of blood. At first, rumour ran quickly around the house that he had committed suicide but it was soon found to be his disgruntled subordinate, John Seaver, who had pulled the trigger. Seaver had been dismissed by Inspector Pettinger for drunkenness only weeks earlier. Being 50 years old he saw Richard Pettinger as nothing but a ‘pup’ and was angry that he had been dismissed. On the 4th February, he took a gun wrapped it in black cloth and went to visit Pettinger at his house behind the barracks. Finding him not home, he then proceeded to Government House where Seaver was now employed. George Clarke who had been on the gate told of how he had recognised him and let him through. He had however, questioned Seaver as to what he carried in the black cloth. Seaver had replied “a pistol for shooting cats” and George Clarke questioned no further. "It's a pity that puppy Pettinger was ever put over me—a man like me who has served under two Kings and a Queen, I ought to have been over him instead of him being over me." John Seavers wife was also implicated in the murder, but cleared of the charges. John Seaver was found guilty and taken to the Adelaide Gaol to be executed. On the day of his execution it was said that he never faltered to the gallows and even prayed with Father Russell, his spiritual advisor. He never made a confession of his guilt, but neither did he ever declare his innocence. His actions left two wives without their husbands and children without their fathers. John Seaver went on to become the 28th execution in South Australia and 12th at the Adelaide Gaol.